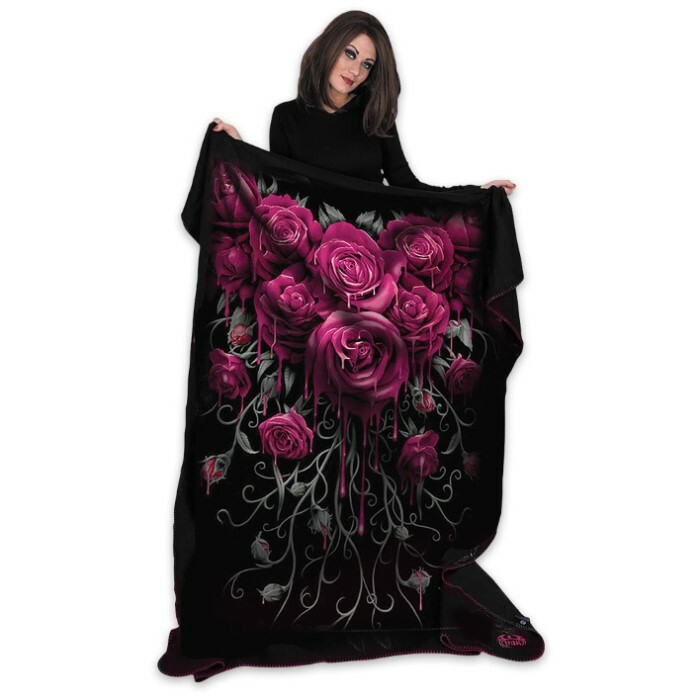 A beautiful garland of Gothic roses, but look closely, is that blood? 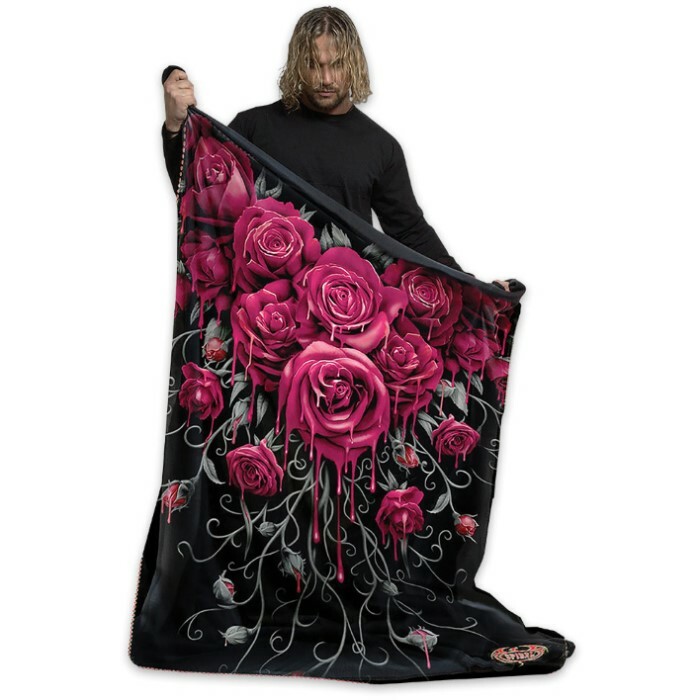 This black fleece blanket has a beautifully illustrated rose-themed design. 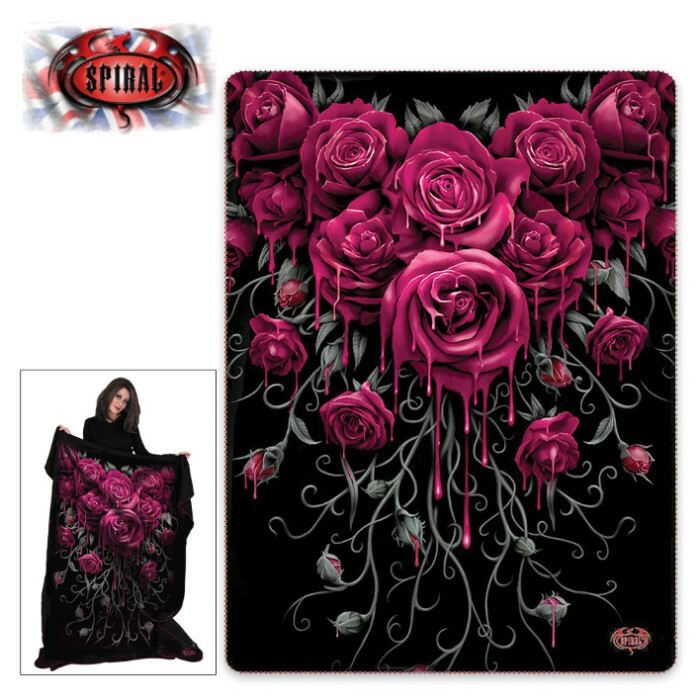 It is made of soft polyester and is 59” x 78 3/4”. Add that touch of Gothic elegance to your home décor with this incredibly artistic blanket.